Arlington, Va. - June 30, 2014 - PBS Distribution announced today it is releasing Day of Days: June 6, 1944 - American Soldiers Remember D-Day on DVD. On June 6, 1944, thousands of Allied servicemen landed on the shores of northern France with a mission to free western Europe from Nazi tyranny. Over the ensuing hours and days, the men faced decimating machine-gun fire, mortars and artillery, eventually fighting their way inland, but not before suffering a staggering number of casualties. Day of Days: June 6, 1944 commemorates the 70th anniversary of the Normandy landing by bringing together American D-Day veterans to share their experiences from that fateful day. As they vividly recall details from their ordeal - from the perils of the amphibious assault to the invasion's gruesome aftermath - their testimony yields long-buried and often painful memories. They recount their transformations from boys to men, reveal their uneasiness with the term "hero," and grapple with why they survived when so many others did not. 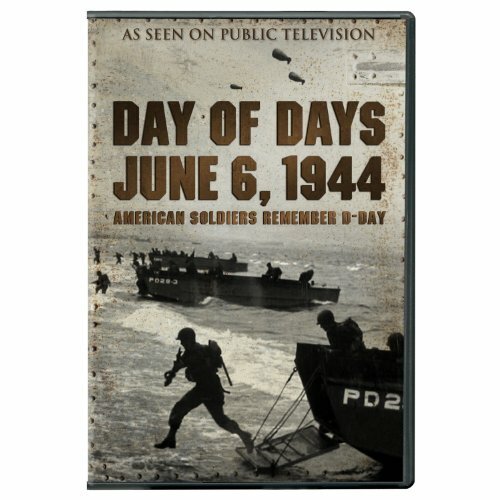 Day of Days: June 6, 1944 will be available on DVD July 8, 2014. The program has a run time of approximately 60 minutes. The DVD SRP is $24.99. The program will also be available for digital download. 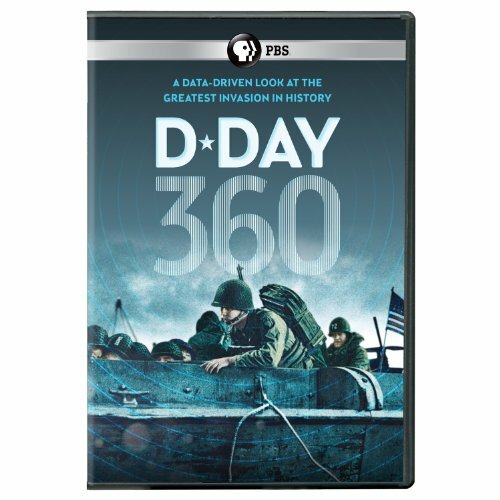 Arlington, Va. - June 30, 2014 - PBS Distribution announced today it is releasing"D-DAY 360" on DVD July 8. D-Day 360 re-creates the landscape and uses fresh new data-driven and statistical tools to tell the story of one of the greatest invasions in history. After two years on the drawing board, D-Day was the most meticulously planned operation in military history - a logistical effort on a scale never seen before or since. On June 6, 1944, 3,000 planes dropped 23,000 airborne troops behind German lines, and 7,000 ships delivered around 20,000 military vehicles and 130,000 allied soldiers, who stormed five heavily defended French beaches in an all-or-nothing assault on Nazi occupied Europe. Once on the shore, the troops had to negotiate two million mines buried in the sand, 46,000 fearsome beach obstacles and hundreds of miles of barbed wire, while dodging the shells and bullets fired by 40,000 German defenders. D-Day 360 will be available on July 8, 2014. The program has a run time of approximately 60 minutes and the DVD SRP is $24.99. The program will also be available for digital download. Focusing on the most important strip of Omaha beach that day - the exit at Vierville-sur-Mer - the program strips D-Day back to its raw data to reveal how the odds of victory, in the greatest gamble of World War II, swung on what happened over a five-hour period on a five mile stretch of French coastline. Data gathered through forensic laser scanning, 3D computer modelling and eye-witness accounts bring the battlefield to life as never before. The film takes advantage of light detection and ranging technology, or LiDAR, to re-create the landscape and allow viewers to switch effortlessly between the macro and the micro - pulling back for the big picture and zooming in to a close-up of a single soldier on the battlefield. It's a new approach and perspective that tells the story with details never before available. "D-Day was a logistical effort on a scale never seen before or since and its ambition and scope are reflected in the cutting-edge use of technology pioneered in this film," says Ian Duncan, film director and Creative Director of Windfall Films. "Conveying the sheer scale of the D-Day operation is at the heart of our radical approach to the graphics." D-Day 360 is produced by Glenn Swift and directed by Ian Duncan for Windfall Films. 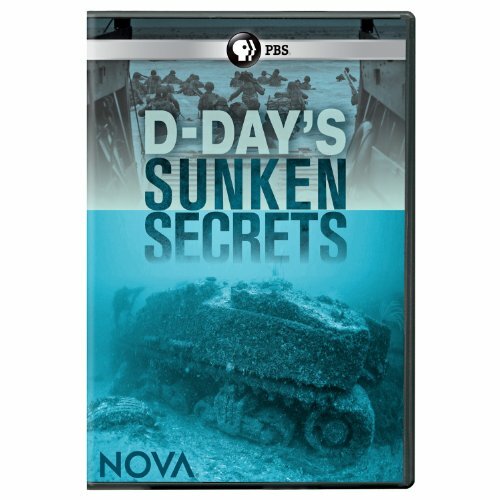 Arlington, Va. - June 30, 2014 - PBS Distribution announced today it is releasing Nova: D-Day's Sunken Secrets on DVD. On June 6, 1944, the Allies launched the D-Day invasion against the heavily defended Normandy beaches to liberate Europe from the Nazis. In less than 24 hours, more than 5,000 ships - the largest armada in history - crossed the English Channel, along with thousands of tanks and landing craft and 200,000 men. Throughout the operation, hundreds of ships sank while running the gauntlet of mines and bunkers, creating one of the world's largest underwater archaeological sites. Now, 70 years later, NOVA has exclusive access to a unique international collaboration between military historians, archaeologists, and specialist divers as they carry out the most extensive survey ever done of the seabed bordering the legendary Normandy beachheads. The teams use submersibles, underwater robots and the latest 3D mapping tools to discover, identify and plot the relics on the sea floor in D-Day's Sunken Secrets . In addition to uncovering this underwater battlefield, D-Day's Sunken Secrets also highlights the story of an often neglected group of heroes essential to the success of the D-Day invasion and to winning the war: the engineers. NOVA explores their ingenious solutions to the formidable obstacles faced by the Allies, such as inventing canvas "skirts" that turned tanks into amphibious craft and creating huge spinning chains that detonated German mines lying in the tanks' path. NOVA spotlights these and other scientists, mathematicians and inventors - even meteorologists, whose last-minute forecasts were critical to the timing of the invasion. "D-DAY'S SUNKEN SECRETS" tells the stories of these unsung heroes whose innovations helped the Allies gain their first foothold in Europe, which spelled the beginning of the end of the Nazi reign of terror. D-Day's Sunken Secrets will be available on DVD July 8, 2014. The program has a run time of approximately 120 minutes. The DVD SRP is $24.99. The program will also be available for digital download. "Through this careful study of the underwater remains of D-Day, the largest amphibious landing of all time, NOVA viewers will come to a new understanding of the battle of Normandy, how it developed, and how innovations in science, technology, engineering, and mathematics were critical to the Allies' success," said Paula S. Apsell, Senior Executive Producer for NOVA. D-Day's Sunken Secrets chronicles the ambitious 6-week expedition led by Sylvain Pascaud, Director of Operations, to explore the famous landing beaches of Normandy, a vast sanctuary that holds sunken ships, tanks, planes and explosive mines. The remarkable expedition was made possible through a unique international collaboration between NOVA and various organizations in Great Britain, Canada, and France. The major undersea project reveals how the Allied Forces' intricate planning and advanced technology were vital in assuring the success of the most ambitious and risky military operation ever launched. The expedition focuses their three-dimensional scanning sonar on the disintegrating wrecks and relics of World War II in the hopes of uncovering the untold story of this submerged battlefield. The team also utilizes divers and robotic rovers to get closer views of the myriad of objects below. NOVA interviews several military historians - including Adrian Lewis, Professor of History at Kansas University and a former Army Ranger who taught cadets at West Point - to answer some important questions about the military operation and strategy: Where did the landing ship actually end up? Do the location of the ships reveal a pattern - or a flaw in the planning? And why are so many Sherman tanks located off only one of the landing beaches? In addition to finding wrecks that reveal battlefield secrets, the expedition brings to life the personal histories of aging WWII War heroes. Small submarines take several intrepid D-Day veterans back in time 70 years - in some cases to the very ships that had been sunk by the Germans. Among them is Bill Allen, a Tennessee Navy medic veteran, 19 years old at the time, who was one of only 28 survivors of the Landing Ship Tank (LST) 523, which was hit by a German mine and sank off the Normandy coast. NOVA's cameras are there to film as Allen bravely climbs into one of the expedition's three-man mini submarines to explore the wrecks in hope of finding his old ship. Much of the hardware deployed in D-Day was part of a huge effort in both Germany and among the Allies to develop the weapons, the airplanes, the landing crafts, and all kinds of innovations that could turn the tide of the war. Each invention had the promise of tipping the balance toward victory. A beach assault would require engineering wholly new ways to land an invading army, and the necessary gear and supplies that the operation entailed. * Floating Sherman Tanks: One of most extraordinary ideas was to make the 30-ton Sherman tank, needed in the first wave to take out Nazi gun emplacements, float. Nicholas Straussler, a Hungarian-born engineer living in England, designed an inflatable skirt that came up on the sides of the tank and turned the vehicle into a rather poorly designed, but adequately floating boat. * Man-Made Mulberry Harbors: A wildly ambitious idea developed by the British to build a harbor at the beaches of Normandy where there was no major existing harbor to unload the supplies needed for battle. Mulberry Harbors were designed, tested, and constructed in Britain, customized to the specific hydrographical and topographical conditions - including Normandy's epic tides - and then transported across the English Channel and re-erected in just a few days. * Hobart's Funnies: A series of unique and peculiar inventions were developed to overcome the beach obstacles that the Germans had constructed. These included flail tanks, bangalores, and other minesweeping devices used to clear paths through the beach mines, fill in trenches and build bridges. * Waco Gliders: Fabric and wood gliders were created to land small units of soldiers behind enemy lines prior to D-Day. These stealth gliders were designed to fall apart so they could land in small fields and secure key sites in advance of the Normandy invasion. * Meteorology: The elected day to launch the entire operation also came down to two critical elements: the tides in the English Channel and the weather. Various charts, maps, and timetables went into selecting the exact time and place of the landings. Teams of scientists studied how the tides affected the depth of the water at the beaches - crucial data for determining the lowest tides of the year and how close the landing ships could pull up to the beaches - allowing for most of the German beach obstacles and mines to be exposed, and for there to be sufficient time to unload enough men and machinery to overcome the German threat. Inclement weather in the English Channel also ultimately delayed the operation a day and allowed the Allies to travel towards Normandy undetected. Few battles of the war were more strategically important than the D-Day Invasion at Normandy. In "D-DAY'S SUNKEN SECRETS," NOVA shows that it was a combination of extraordinary operational planning along with significant scientific innovations that ultimately led the Allies to prevail. The complexity that went into the design, engineering, and implementation of the entire D-Day operation can be appreciated by the fact that 70 years after the invasion, we are still in awe of what was accomplished. Now in its 41st season, NOVA is the most-watched prime time science series on American television, reaching an average of five million viewers weekly. The series remains committed to producing in-depth science programming in the form of hour-long (and occasionally longer) documentaries, from the latest breakthroughs in technology to the deepest mysteries of the natural world. NOVA airs Wednesdays at 9pm ET/PT on WGBH Boston and most PBS stations. The Director of the WGBH Science Unit and Senior Executive Producer of NOVA is Paula S. Apsell. Corporate funding for NOVA is provided by The Boeing Company. Major funding for NOVA is provided by the David H. Koch Fund for Science, the Corporation for Public Broadcasting, and public television viewers.